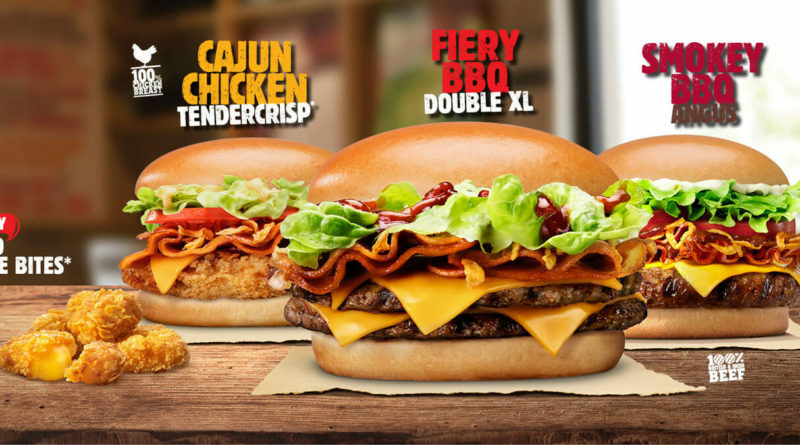 Burger King Summer BBQ Menu 2017 includes new Fiery BBQ Double XL. The Summer BBQ menu is back with a bang for 2017! Burger fans will be delighted with the two brand new burger additions to try. 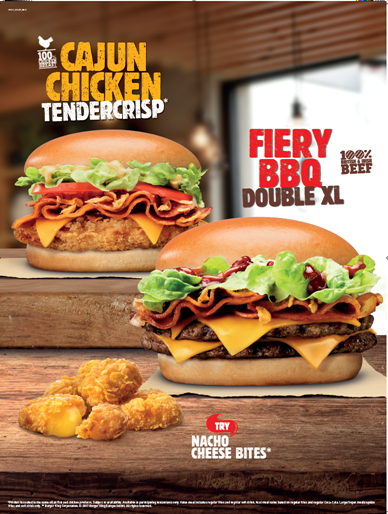 The CAJUN CHICKEN TENDERCRISP and FIERY BBQ DOUBLE XL have unique ingredients layered onto brioche-style buns and are joined by returning favourites, the SMOKEY BBQ ANGUS® and delicious Nacho Cheese Bites. The new CAJUN CHICKEN TENDERCRISP features a succulent Tendercrisp chicken breast on a toasted brioche-style bun, topped with smokey bacon, crispy onions, melted American cheese and salad. Cajun sauce adds an extra kick to a burger bursting with flavour, available from £4.99*. 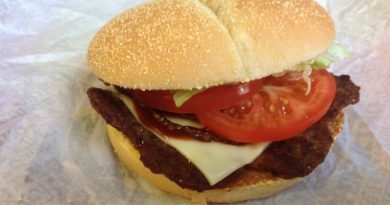 The FIERY BBQ DOUBLE XL features two flame-grilled Angus patties topped with American cheese, smokey bacon, crispy onions and salad. The burger gets an extra zing with sizzling BBQ sauce, layered onto a brioche-style bun, available from £5.29*. Fan-favourite, the SMOKEY BBQ ANGUS® is made up of an extra-thick flame-grilled beef patty, smokey bacon, American cheese and salad – enhanced by a toasted brioche bun and topped off with tangy BBQ sauce and mayo, available from £4.99*. Cool yourself down this summer with the new, creamy OREO® Chocolate Shake, only available at Burger King®. The combination of velvety smooth chocolate ice-cream, OREO® cookie pieces and chocolate sauce are blended together to create a cooling and delicious explosion of flavour. The new addition joins current favourites, OREO® Shake and OREO® Fusion, to offer fans even more refreshing, tasty options. OREO® Shakes will be available from £1.99*. 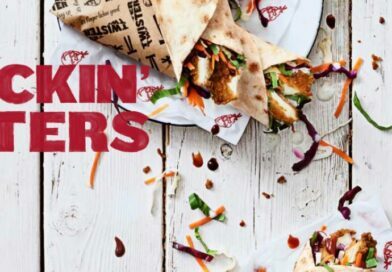 If the range of burgers and OREO® Shakes aren’t enough to tickle your taste buds, Burger King® also have the popular Nacho Cheese Bites on offer. The deliciously warm nacho cheese balls with a crispy coating are perfect for dipping in a range of sauce accompaniments. Nacho Cheese Bites will be available from £1.99* for 3 pieces and £2.89* for 5. 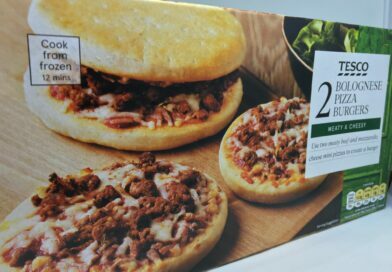 The Summer BBQ menu will be available in the UK from 5th July for a limited time only. 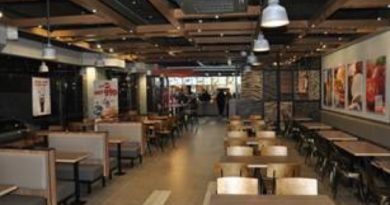 Is this the next promotion coming to Burger King? 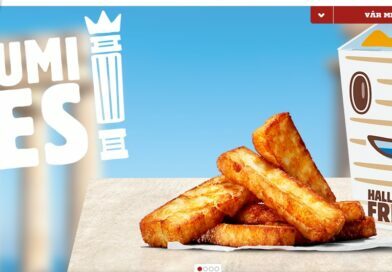 Eagle-eyed Twitter user @dtotheb17 spotted the burgers on the Burger King Delivers website. 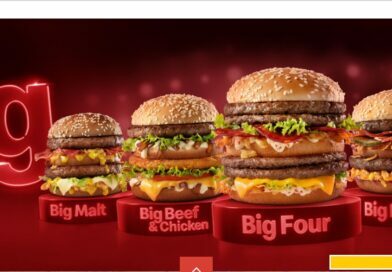 The burgers are listed in the limited time offer section of the website, but as of writing do not appear on the main BK website. The hero of the promo is the Fiery BBQ Double XL. Alongside this is the Smokey BBQ Angus and Cajun Chicken Tendercrisp. 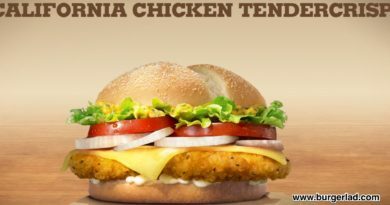 We’ve reached out to Burger King and expect to have more information available when it comes in. Check back soon for updates! Do you like the sound of the Fiery BBQ Double XL?